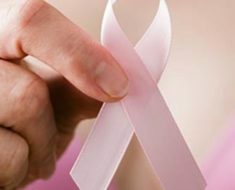 Whatever cancer treatment we have decided upon, once the initial treatment is over we still have to have regular health check-ups to see how we are going.Let us look at some of the methods of testing on offer and compare safety aspects and/or accuracy.Generally doctors offer Ultrasounds, Mammograms, CT Scans or MRI’s.Ultrasound imaging, or sonography is a non-invasive scan and does not use ionizing radiation (X-rays). Part of the body is exposed to high-frequency sound waves in order to produce pictures of the inside of the body. These images help doctors diagnose and treat medical conditions.Although there are no known harmful effects on humans, ultrasound, for various reasons is not suitable for testing on the bowel, or on large patients and has difficulty penetrating bone, therefore is not a definitive test for the detection of cancer.A mammogram uses low doses of radiation to scan breasts and is a diagnostic tool that screens the breast for possible problems and for hidden lumps. 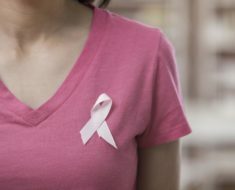 This test is highly promoted for the early detection and therefore prevention of breast cancer however, there are some downsides to mammograms, apart from the radiation exposure.If a woman has high breast density then the mammogram can appear normal even though breast cancer is present producing a false-negative result. 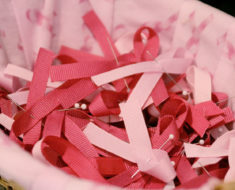 Mammograms miss up to approximately 20% of breast cancers that are present at screening.On the other hand false-positive results can occur when a radiologist believes a mammogram is abnormal but no cancer is actually present.Significant stress can result from both of these miss-diagnoses, indicating that mammograms are far from ideal as a screening tool.With CT scanning, numerous x ray beams and a set of electronic x ray detectors rotate around you. 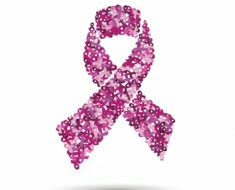 It is often the preferred method for diagnosing many different cancers, since the image allows a physician to confirm the presence of a tumour and measure its size, precise location and the extent of the tumour’s involvement with nearby tissue. This is a good test but the body is exposed to radiation with this test and it is expensive.An MRI scan uses magnetic fields, radio waves and a computer to take pictures of the inside of your body, but does not use radiation like the other scans mentioned. 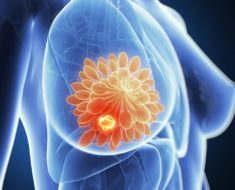 This is also a good test but very expensive.Often, mammograms, CT Scans and MRI’s are used when symptoms are already there, like an unexplained lump, but what about a safe, non-invasive test for extremely early detection of breast cancer, fibrocystic disease, an infection or a vascular disease and other cancers before a lump or other symptoms appear?Digital Infrared Thermal Imaging (DITI) is such a test. DITI detects subtle physiologic changes in your body. It uses no radiation, is painless and has no contact with the body. This test allows the practitioner to visualize changes in skin surface temperature by using an infrared scanning device which converts infrared radiation emitted from the skin’s surface into electrical impulses which can be seen in colour on a computer monitor.The benefit of this test is that it can alert you to breast disease (and other disorders) much earlier than the usual self examination, doctor examination or any of the aforementioned tests.DITI can offer protection from cancer developing by detecting and monitoring abnormal physiology years before you, your doctor, mammograms, X-ray, ultrasound, CT scans or MRI’s are able to pick up anything.This 15 minute test is valuable for alerting your GP or specialist to the possibility of underlying disease, meaning that preventative measures can be taken to stop any cancer before it develops.If we understand the options available, it will enable us to make informed decisions regarding our on-going health status which is critical following a bout with cancer.